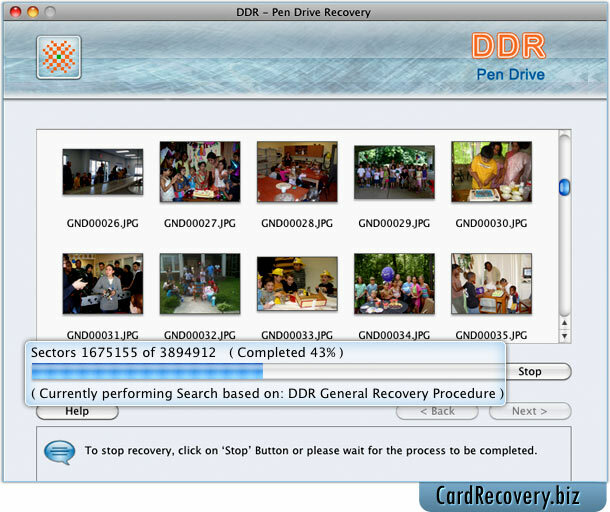 Screenshots of Mac Pen Drive Recovery to learn how to recover data from USB flash drive. 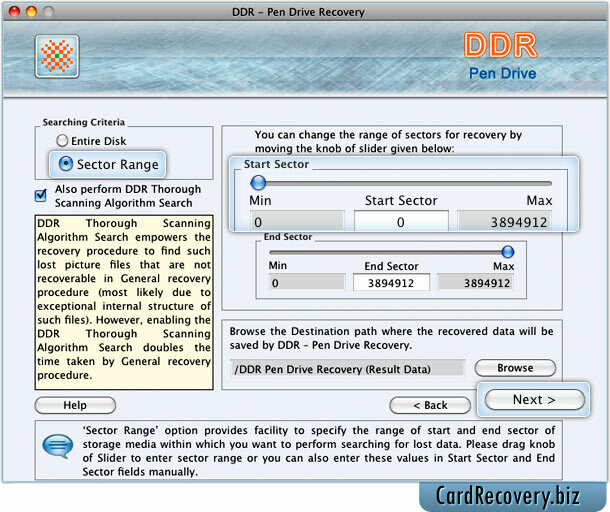 Select removable media (pen drive) for recovery and details of drive is displayed at right panel like Model, Media Type, Interface Type etc. Wizard shows progress bar to view current status of disk scanning process.